As a fan of Theme Time Radio Hour, I sometimes forget that not everyone is familiar with the show. Many Bob Dylan fans have never heard an episode of TTRH, even if they know of it. With the success of Together Through Life (Now #1 with a bullet on both the U.S. and U.K. charts. Go, Mr. D! ), Dreamtime is getting on the average of a half-dozen emails a day from people who picked up the deluxe package, heard the "Friends and Neighbors" show and now want more TTRH . So here's the scoop, amended from our Theme Time Radio Hour "Frequently Asked Questions" document which you should check out if you have other questions about the show. 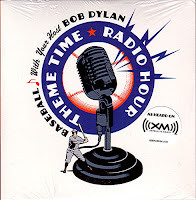 A CD of the complete Baseball show was released in 2006 as part of an in-store promotion for Modern Times. The link above will take you to Amazon where various re-sellers offer the disc for prices currently ranging from the reasonable to the ridiculous. The disc can also be found on eBay, but note the following caveat for either Amazon or eBay: if packaging and "original condition" are important to you, you should make sure the disc is not a CD-R copy and is in its original cardboard sleeve (with the TTRH logo on the front and playlist on the back) before purchasing. If you liked "Friends and Neighbors" chances are you'll love "Baseball," which features among other things Your Host Bob Dylan performing Take Me Out to the Ball Game a capella. Another promotional CD, featuring the "Friends and Neighbors" episode, is part of the "deluxe" Together Through Life package released in April 2009. I noted in another post that "Friends and Neighbors" wouldn't have been my first choice for a TTRH commercial release but after listening to the show again, I've decided I was wrong. The show has everything that makes TTRH special; quirky music, interesting facts and trivia; two emails, wife-swapping and swinging, and Our Host launching into a blistering attack on modern country music. Who could ask for more? As of May 2009 there were five different commercial CD compilations featuring music only from TTRH. Note that these compilations do not include Dylan's commentary or other features that made the show unique, and that the tracks used on the compilations are not necessarily the ones used on the show. If you're interested in the folk, jazz, swing, rockabilly and country music played on TTRH, you might like these sets. If you're looking for TTRH shows, they're not for you. There are three "unauthorized" (unauthorized in the sense that they were not produced with the involvement of the TTRH team) sets from the Chrome Dreams/ISIS label: The Best of Bob Dylan's Theme Time Radio Hour Volume 1 and Volume 2 which cover the show's first season and The Best Of The Second Series which compiles music from the show's second season. All three compilations are 2-CD sets. Note that all three links will take you to the Amazon U.K. store, which is where I recommend you purchase the sets. Dreamtime has received emails complaining that the buyer was sent Alan Freed's A Stompin' Good Time instead of the Chrome Dream TTRH compilations when purchasing through the U.S. store. Radio Radio , a 4-CD box set released in 2008 from Mischief Music - again "unauthorized" - also covers music from TTRH's first season. 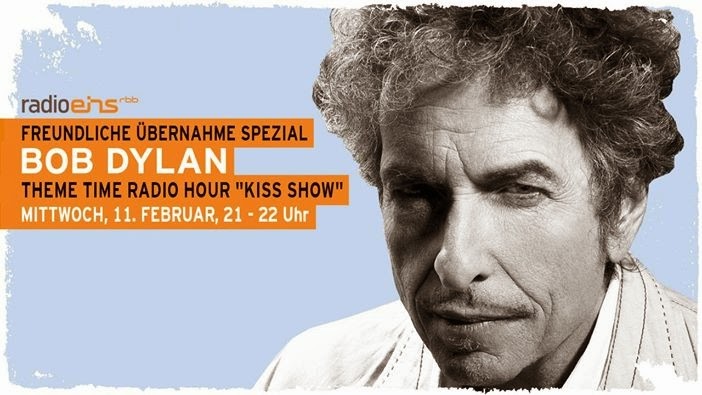 The authorized Theme Time Radio Hour with Your Host Bob Dylan set was compiled by Ace Records U.K. under the supervision of TTRH producer Eddie Gordodetsky and Dylan business manager, Jeff Rosen. 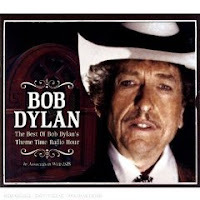 Of the five compilations, Theme Time Radio Hour with Your Host Bob Dylan probably best reflects the breadth of music played on TTRH as it contains both relatively modern music, such as The White Stripes Seven Nation Army and The Clash's Tommy Gun, as well as the type of vintage cuts you'll find on the other sets. While not marketed as TTRH material, the 2008 Starbucks compilation, Artist's Choice - Bob Dylan: Music That Matters To Him is also highly recommended. The CD set reflects Dylan's musical interests, "right now," as he relates in the liner notes, and the music in the compilation could easily have appeared on a TTRH playlist. The CD also has another connection to TTRH. Its liner notes state that it was produced by "Tim Ziegler," the name used by a fictitious caller during one of the Season 2 episodes who complained that Dylan had misidentified a record label. As with the "Baseball" show, if "original condition" is important to you, you'll want to ensure that you're getting the original disc including its original packaging before purchasing. Yes, they're out there. No, I'm not going to tell you how to find them. Thanks for all the info and the links. Great stuff.